← Six months and holding!!! I’m obsessed with sloths!! Today Sarah and Rene took me with them as a volunteer at the Jaguar Rescue Center in Puerto Viejo and I took this video of a tiny two month old baby sloth. My job today started with cleaning the outside glass in the snake area and then raking the grounds for what seemed forever. 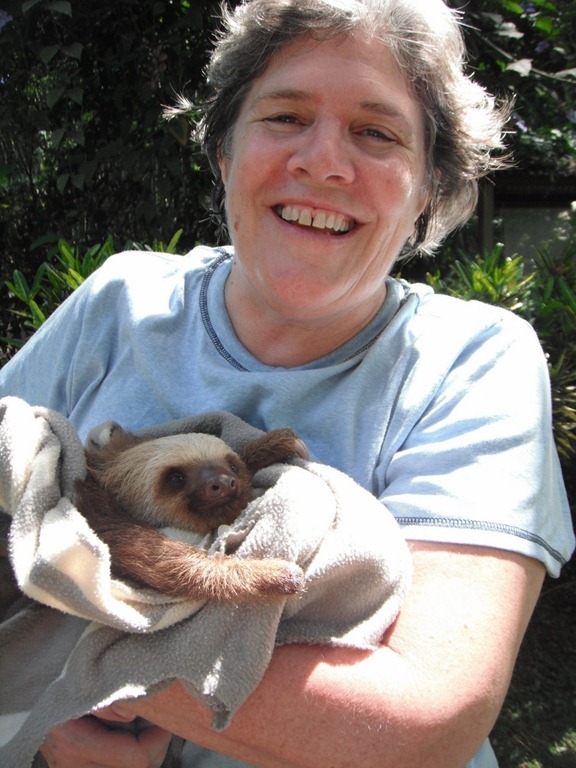 When I was done with that I spent most of the rest of the day with the animals – primarily the sloths. Three of the sloths were old enough to be out climbing on the tree where we were but two were too little. I fed one for about an hour and then they brought out this tiny one so it could have some sun. 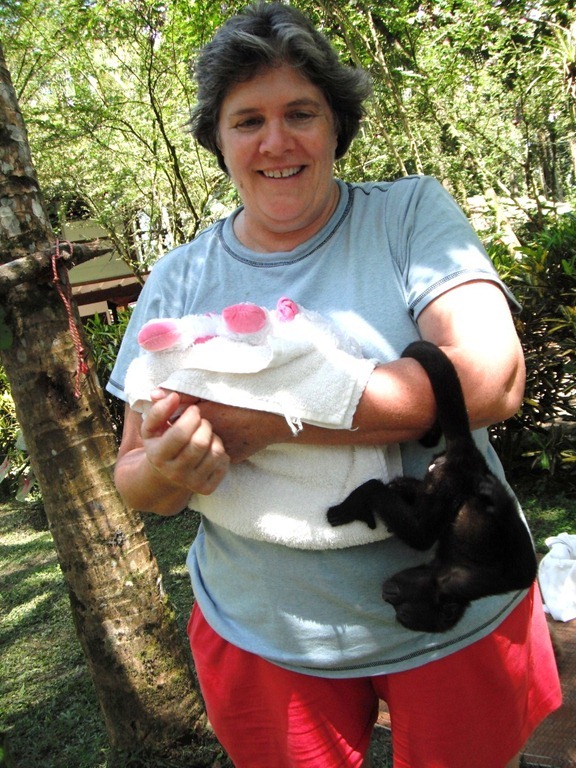 I also got to have Al Pacino – a baby howler monkey – crawl around on me for awhile. That is until he tried to get away and climb a tree and then one of the more experienced volunteers took over.